Looks great, keep us posted! You can slice the animation sheet with Unity Sprite Editor, then you can use all the frames individually. 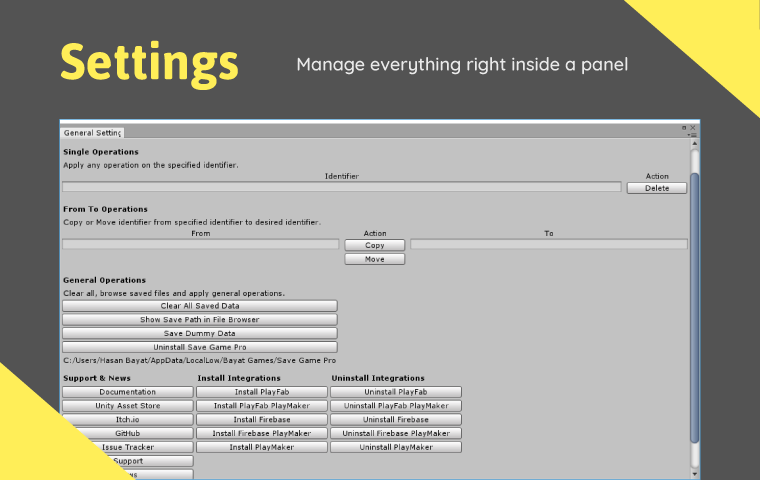 First make sure to import the sheet as Sprite and as Multiple (not Single) then you can slice it using Sprite Editor. If you are looking for extended enemies and traps, you can take a look at Ultimate version of this package. Thanks, we're glad you like it. You can use it for any project. Hi, the animation is available at Update 1.8/Character Animation. Hi, no credit or attribution is required, it is all optional. Also, don't forgot to share your game with us! I think it should, the package contains the traditional image format and should work everywhere. Hi, yes of course, the contributions and feedback are welcome! You can slice the images using any external image editing software such as GIMP or Photoshop, or some tools available online for slicing sprite sheets. As far as I know Godot is same to Unity in many aspects, and I think it is possible to slice the sprite sheets right inside the Game Engine. Hi, this is just game assets and it doesn't matter which game engine you are using and willing to use, you can use these assets for all of them without efforts, hope it does well for you. Hi, thanks for your bug report. Currently there is no wall check in the game, so this graphical glitch is caused because of this. I will add this to the list of known bugs for fixing later. Thanks again. You can use it for any project without any problems, it free and always will be. I would like call it Open Source graphics package, so it is open for any usage. Hi, yes you can do that! Hi, sorry for that, I have updated the Payment information, do you can try again? 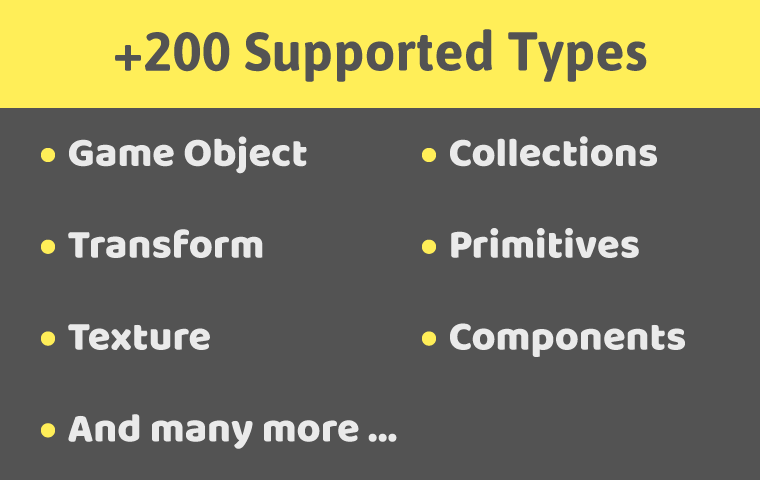 yea, you can use this assets in any projects. Thanks for sharing the Game with us. It is pretty good, but needs improvements as you know, I recommend you to join Game Development communities and share your game with them and keep improving. A good game development community is Pixeland, also you can find more by searching and exploring internet. Hi, my email address is hasanbayat1393@gmail.com, contact me any time and ask anything, I would be happy to help you. Also, it is not required to include our name or brand on game or somewhere, it is free and you are allowed to do anything without any attribution, just enjoy it mate. 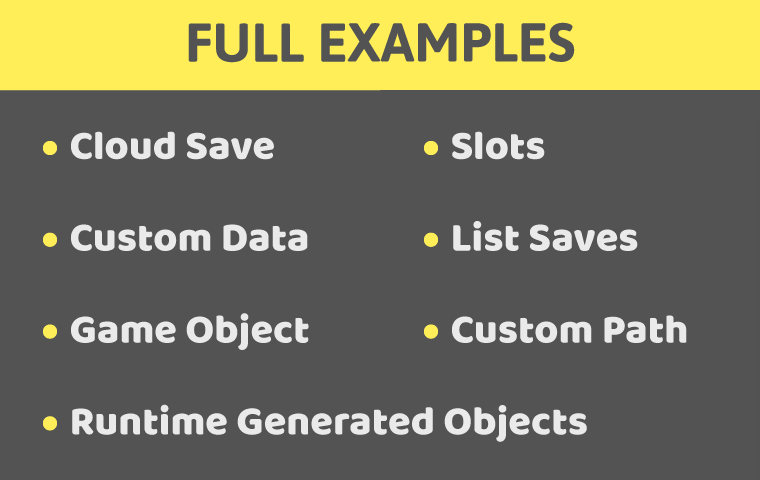 Save Game Pro is a complete, powerful and feature-rich save game solution for Unity (Game Engine) that lets you save everything such as Components, Data Types, GameObjects including Custom Data Types at everywhere including Web & Cloud, Local Storage, PlayerPrefs, Database. 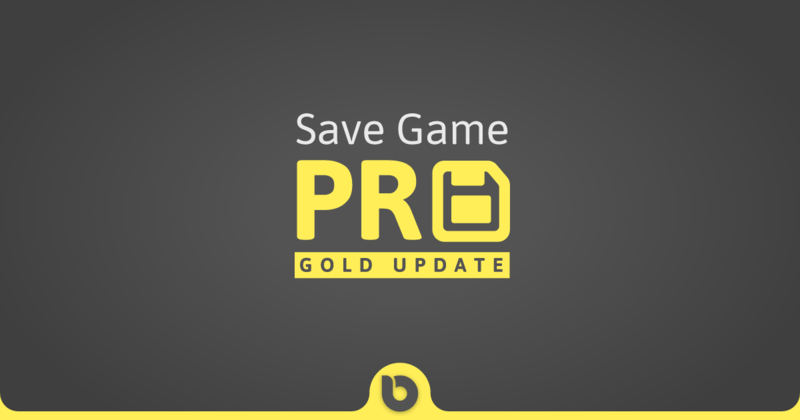 Save Game Pro has an Elegant and Complete API for controlling saved data, for example, by using the API you can check if a data exists or you can Retrieve the saved files list and show them to the user. Almost All Components, such as BoxCollider, Rigidbody, MeshRenderer, Camera, Transform. GameObject, the Whole GameObject will be saved, that means all Components including All Childs. Transform with Hierarchy, that means the transforms are saved by their root parent and they will be loaded like that. Complete set of Examples included helping you get started easier and faster. Also, each integration comes with its own examples. 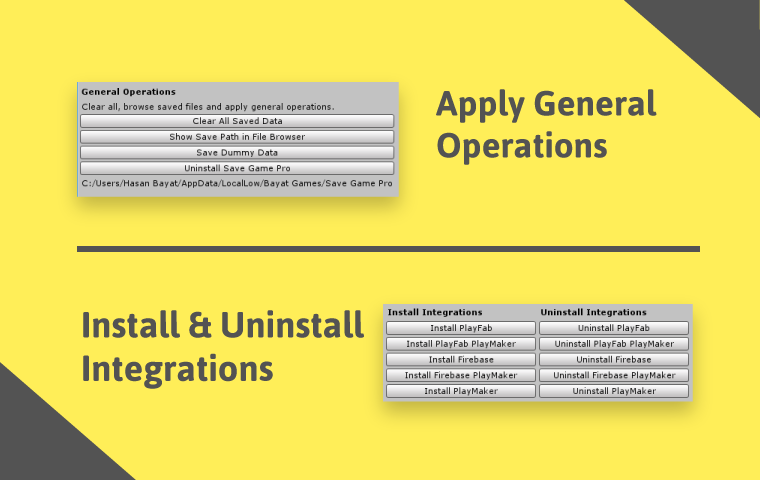 Save Game Pro integrates with PlayMaker fully and completely by adding Save Game Pro API methods as Actions to PlayMaker. 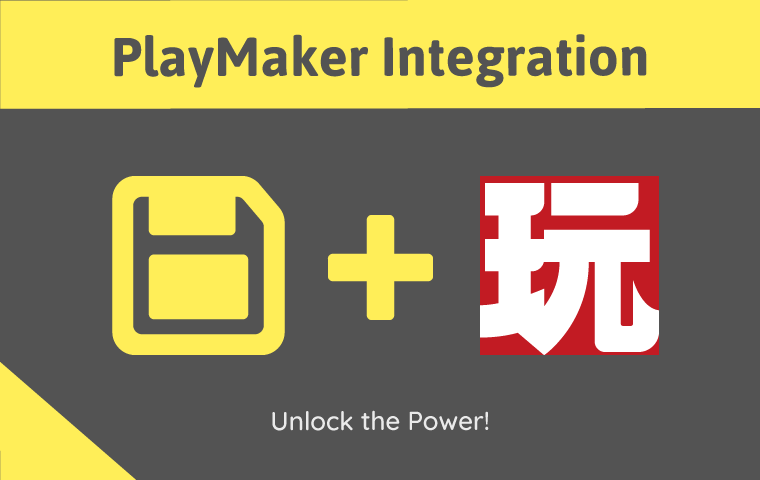 Also, each integration includes the PlayMaker Actions as well. 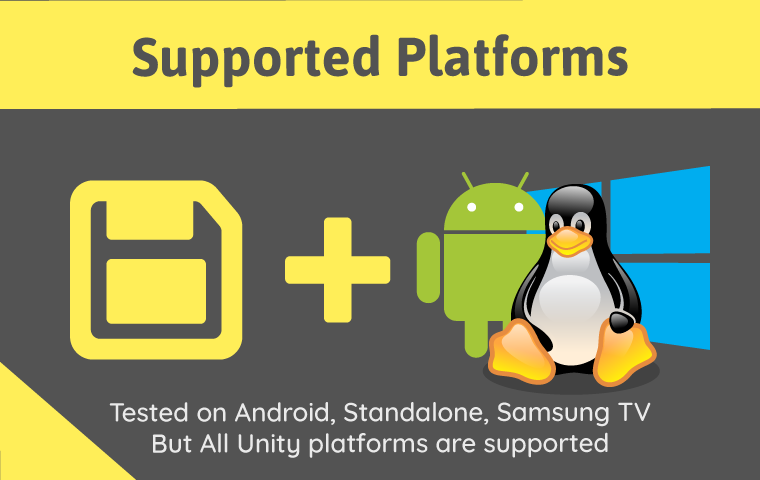 But we know it should work as excepted on All Unity Platforms. 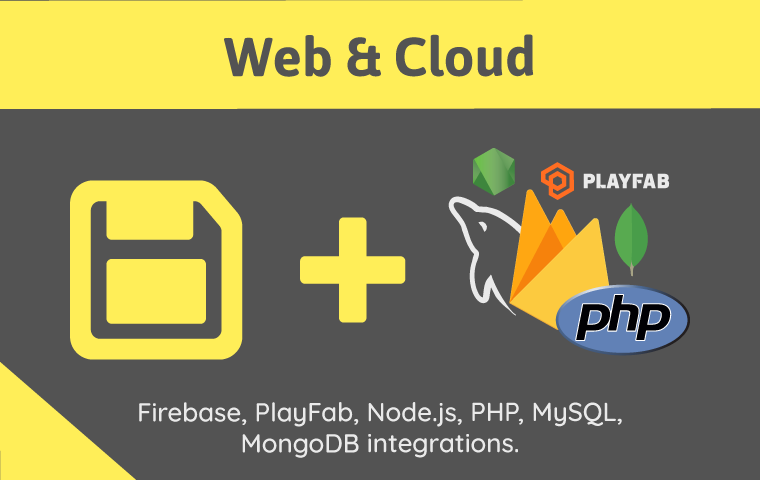 Save Game Pro integrates as well with your Cloud environments such as PHP and Node.js and supports most popular Database Engines, such as MySQL and MongoDB, Also, Save Game Pro integrates with Firebase and PlayFab as well to let you save your game data and sync it across devices. 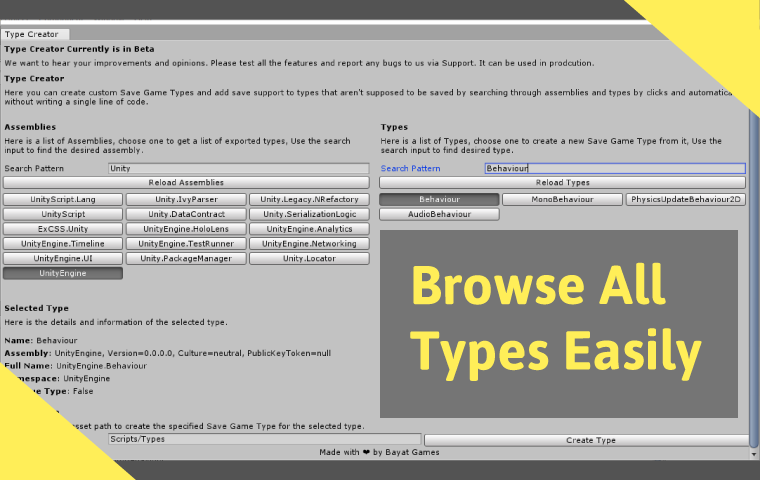 Save Game Pro supports Custom Types, that means you can add serialization of Types that aren’t supported by Save Game Pro, So you can create these Custom Types easily and automatically using Type Creator. 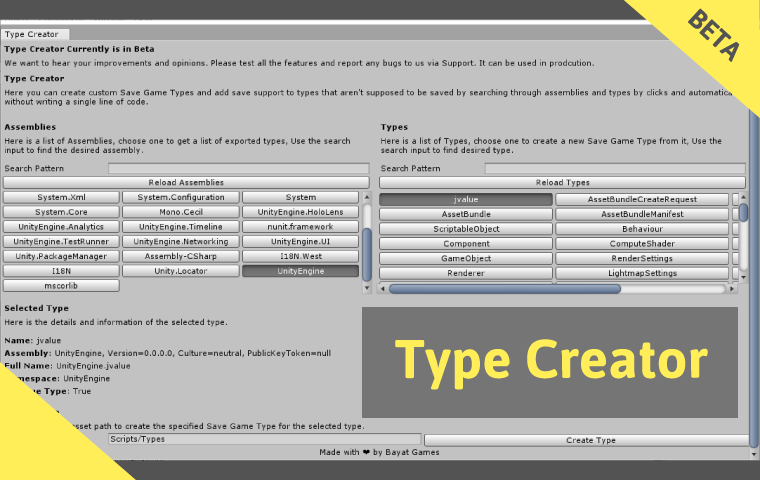 Type Creator provides an easy, fast and helpful interface for Creating and Browsing types, Also, Type Creator includes Search inputs to help you browse all types by searching for the desired Type. 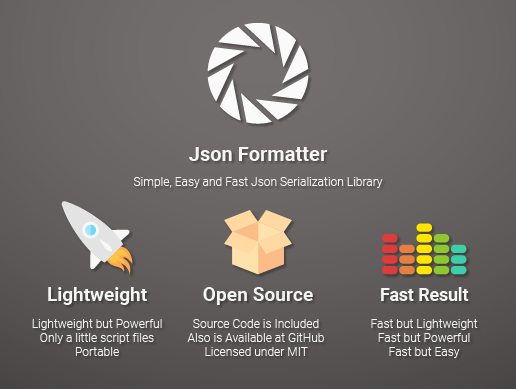 JsonFormatter is an Fast, Lightweight Json serialization/deserialization library for Unity projects. We have released a new asset pack, 2D Ice Cream Pack contains bunch of ice creams and candies for any purposes and use cases. Colored Ice Cream Pack, Checkout the page for more ice creams and candies. All character animations added, enjoy and check them out. Let us know if you need more content. 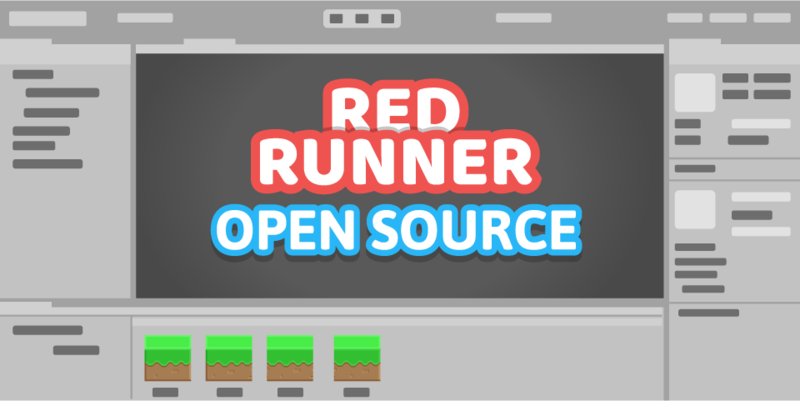 Red Runner has come to Open Source community and always will be. 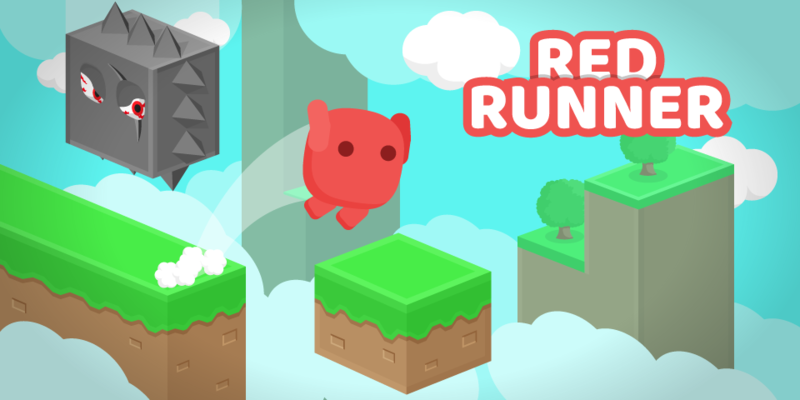 Red Runner source code is published to GitHub at right now. You can get it now from here. You can check it and learn how to design a game like it. Sure, it will be available on itch.io and GitHub as soon as possible. Check out the Red Runner page to get notified for source code. Yes the game made both for educational and demo purposes. We can provide the source code if you need it. The game is made in Unity. What do you mean by animating the character? do you need spritesheet animation? It would be awesome to have shortcut keys. You can have look at advanced software hotkeys such as Autodesk 3Ds Max, Blender and Artists friendly Adobe Illustrator, Adobe Photoshop. Oh, so you mean the speed of the game, it is normal because it is the Runner version of the main game. now what is your idea to fix the speed of the game? decrease the character speed? The main game is a RPG game that is in development. this will have character fights, dungeons and more dangerous enemies. The Runner version lets you gather coin and spend coins the RPG game to buy items and stuff. It would be awesome to hear more ideas about the game from you. Also thanks for sharing interesting audio sources, but we are looking for more awesome music! We will share our selected music with you and all players, to get feedback. Hi, thanks for you recommendations. What do you mean by speed of everything? Please provide an example. You can post your ideas/improvements here. This game currently is in Early Access and contains bugs, please let us know if you found any bugs or have a ideas that helps us to make it better. Try to reach your maximum speed to gain most score and get a new high score! Keep away from dangerous enemies! This game is part of another big game, then your coins, score and high score will be saved for the next game, so pick more coins to get more reward for the next game! Thanks to all of the game development community for their awesome help.